Ok . . . so the last few weeks have been a bit manic, in a good way. 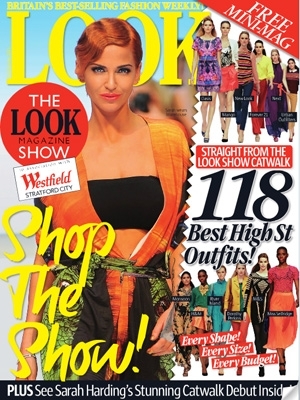 I started at The London College of Style and started interning for my fave high street fashion magazine, Look. It looks like I started at the right time as myself and a few other girls at the mag got asked if we wanted to be dressers for the Look show. We were all very shattered from a full week at the office 9-5, but couldn't really say no, so off we headed on a very early Saturday morning to the newly opened Westfield Stratford City, which was exciting for us all anyway; we wanted to go for a cheeky shop but nope! No time! We arrived and all got given a Look pass card, with Front of House on the front, we all felt rather spesh!! J Walking around with them on display, haha! The atmosphere was great backstage as we each got given our own model to dress, the heat was a bit much at times as the venue started to fill up, and when I say fill up, there is no way any more bodies could have squeezed into Westfield that day, you people are crazeeeeey!! I think if I had come to go shopping, I would have taken one look, turned around and gone back home, it must have been taking people about 10 minutes to walk to the very next shop! I like shopping to be relaxing, and that felt like a cattle market! SWEATY!!!! Back to our models; I expected hello or what's your name...the first thing my model said to me was "I feel really sick". Oh god! She's gonna throw up all over the clothes I've just steamed, panic! No don't panic, its fine, sit her down, offer water n all that. She wasn't sick, just didn't talk to me very much, oh well! I did the job I was asked to, with her being rushed into each outfit, but she looked hot whether she felt sick or not! We found out that Sarah Harding was going to be leading the catwalk, so everyone seemed to have their eyes peeled for her, I couldn't believe how tiny she was, but looked very confident leading the way in a statement Mango dress to start us off. I was most impressed by Dionne Bromfield who opened the show with her new single 'yeah right', what an amazing voice for a young girl, she's definitely one to watch! Amongst the guests were Kelis, Alesha Dixon, girl group Parade and Kimberley Wyatt, all looking luverly! A great day with the girls but boy was I glad to see my bed!! My sisters have commented that they're envious when, shopping with me, as they scan rails of clothing or peer into clothes store windows, I constantly mutter "I could make that". 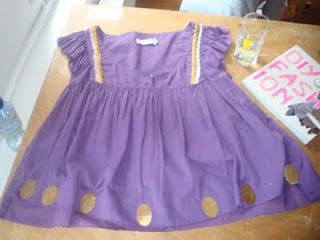 Most of the time I just use it as an excuse to show off how now I can analyze how to make clothes, their patterns etc. Heck, I think my whole 'I could make that' attitude even started at an early age; I remember watching toy commercials, longing for the amazing play sets for my dolls, but instead of begging my parents to buy 'em for me, I thought 'heck, I'll make it myself '; I'd look at the catalogue and construct the toy out of blocks and paper: my Barbie Dream Ice Cream Parlor was way cooler than anything Mattel came up with! It recently hit me that even though I've looked at these trends, just how much I'd love to try and make an exact replica of that item, something that's uniquely mine (and saves me a pretty penny while staying with the trends), that I've never actually done it. So, I'm going to find a trendy piece, research the creator's process, and repeat it, only with my own ingenious (though most likely completely amateurish) way. I really am part of the hands-on creative culture today. Anyone can buy a top from H&M, but you know how more amazing that feels is wearing something you created yourself and how great it is to show it off, knowing it's unique and unlike anything else? While cleaning my room, I came across some flyers I'd picked up at London Fashion Week this spring. Amongst them I found the postcard from a jewellery stall entitled Little Glass Clementine. Clementine James is unlike most jewellers today. Her approach; she takes on commissions from clients who bring in a collection of items they consider precious (lockets, antiques, stones, chains etc.) 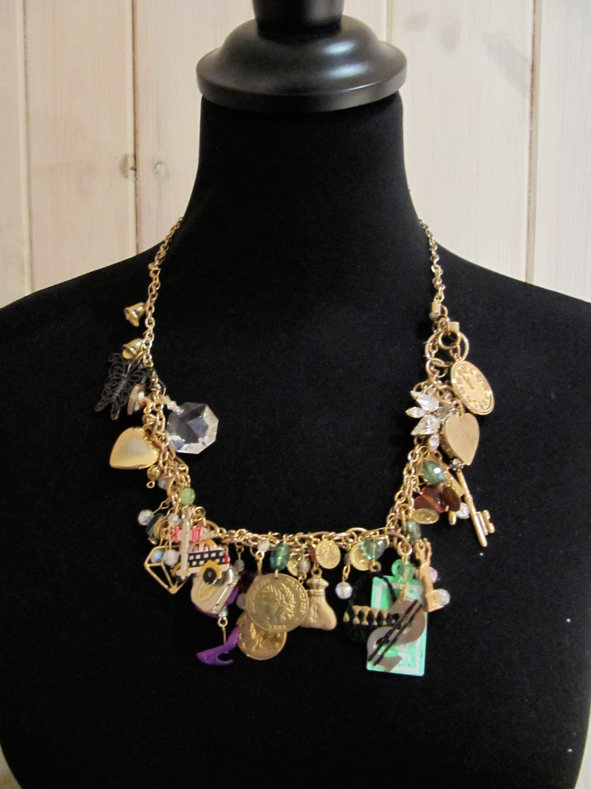 and creates amazing necklaces from them! 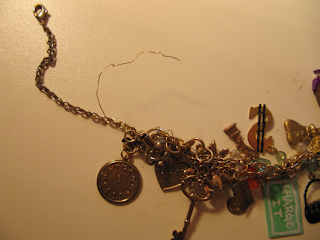 Looking through her website I loved her work: how each piece is so unique, and almost nostalgic that a necklace can hold so many precious memories for a wearer. It reflects my own personal styling, how I choose a certain piece then base the rest of the outfit to support and highlight it. I'm really intrigued by this 'Frankenstein' approach, taking bits and pieces from different things and making something new out of them. So I thought I'd take a stab at it. 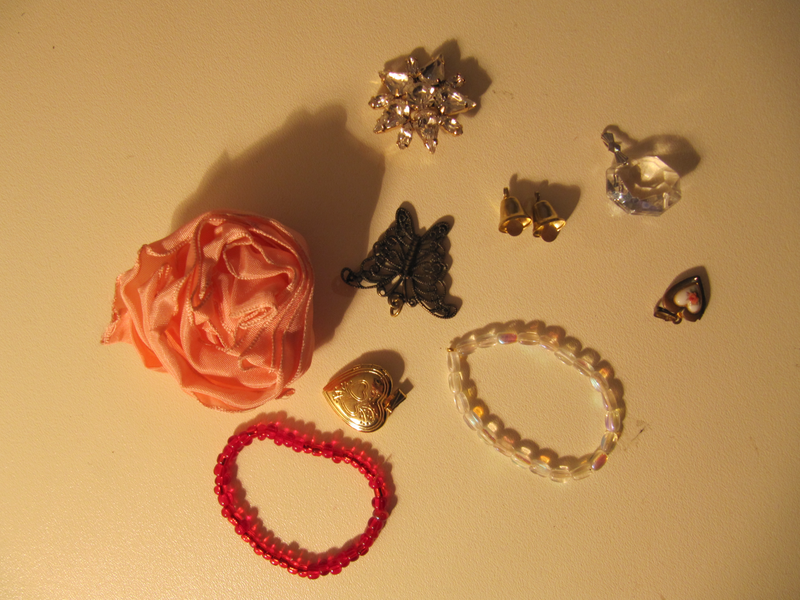 Yes, I know, I have zero experience at any jewellery behind my elastic bands with beads on them from when I was five. I scoured my boxes of jewellery: any pendants, beads, chains, anything I genuinely always have; a locket from my best friend growing up, some interesting pendants from Portobello Market, stuff I've always said I'd wear, but haven't. I took the thick gold chain from my 'Alice' necklace, that I love but honestly always been annoyed at how much it jangles, and used it as a basis. 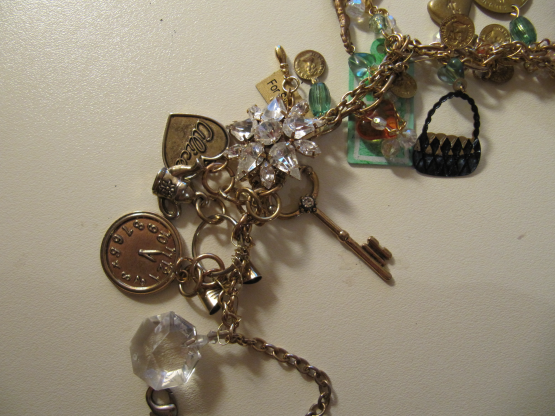 There's a cool charm bracelet that my sister handed down to me, that again, whenever I wear it becomes so distracting! 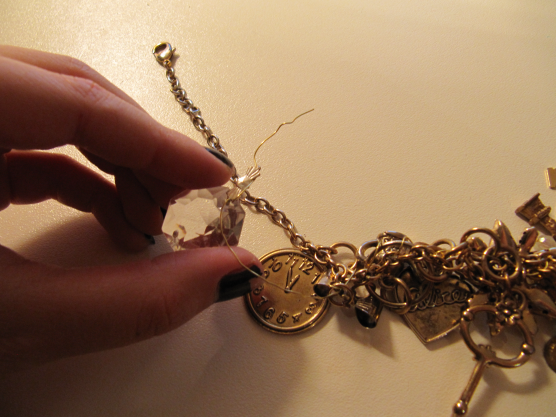 Not very daring, attaching the bracelet at the centre on the chain, but it sure made a great jump start into the project. From then, I began binding the two chains together with framing wire. Once the charm bracelet was attached, I added the rest: lockets, a plastic crystal my grandmother used to wrap a gift once, anything that went with the color scheme. 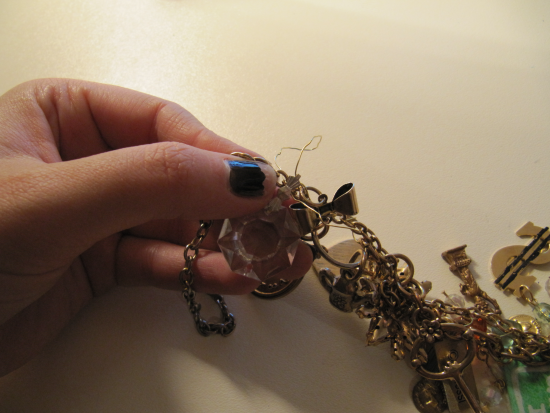 I tried using Clementine's technique of winding wire around little shells and stones, but they didn't hold. My first day of LCS finally began, and what a wonderful day! Celebrity stylist and founder, Wendy Elsmore, started the day with introductions and then went through our summer assignments. Our first guest lecturer, Grace Bank, editor at V Style Magazine, stopped in and gave us a run through the online magazine. Frida Gustavson, Ondria Hardin, Dorte Limkilde, Kelly Mittendorf, Antonia Wesseloh and Julia Zimmer are this season's chosen ones, photographed by Steven Meisel in the latest collection. Having launched the careers of models Lindsey Wixson and Sasha Pivovarova - as well as one of the world's highest paid models, Vogue cover girl Daria Werbowy - the Prada campaign is an indicator of future fashion stardom. And not one to miss out on casting superstar actor's of distinction, Tobey Maguire is Prada's new menswear campaign face for autumn/winter 2011-12, shot in New York by David Sims. Made famous by his role as the unlikely hero, Peter Parker, who becomes Spiderman, Maguire is set to return to our screens in Baz Luhrmann's The Great Gatsby next year. Past student Mr Hugh Metzger has been out and about strutting his styling stuff at Vstyle online magazine. We thought we'd share in his success and show you what being determined and learning with us can do. 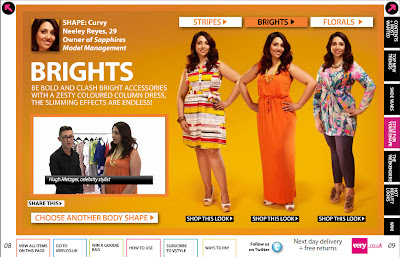 Hugh was asked to film some hot summer tips for various body shapes for the Vstyle online readership. 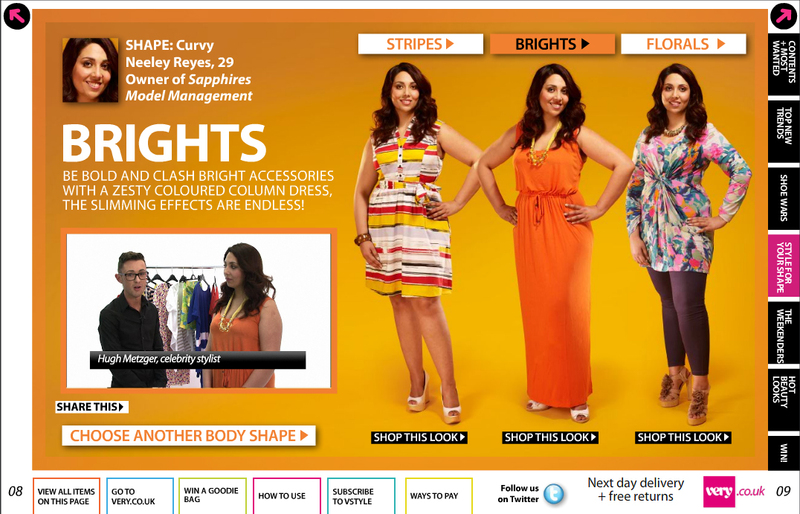 Check out the videos here, just choose ‘Style for your Shape’ from the menu on the right. A burgeoning talent no doubt! 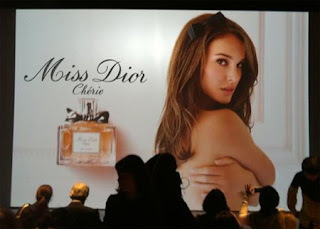 I’m going to share my love for the film Black Swan starring Natalie Portman, who is the new face for the “Miss Dior” perfume. The campaign shot by photographer Tim Walker is amazing – he is my fav photographer, absolutely incredible, every photo is magical. After wanting to see this film since it first hit the screens in January I have finally got around to watching it. The film is a new take on the original Swan Lake, and after doing ballet for many years, I have seen many interpretations of Swan Lake, and also danced in a show based upon it too! However, Black Swan takes a more thrilling plot, much more up my street. As the delicate white swan lead needs to figure out her sub role as the black swan she struggles with her underlying need to be perfect, as the plot unfolds we see her lose her mind as she becomes more like the black swan, Odile. The twisted movie has a dark and sinister tone, it is gripping, one to watch. Rodarte’s designers for the film, Laura and Kate Mulleavy used a love for horror films to inspire its wardrobe – the result; awe-inspiring, dramatic pieces. The trend of ballet could be seen throughout the catwalk at LFW. Ballet is having a huge influence on style. Hannah MacGibbon’s ballet-influenced SS11 show for Chloe, with its pretty yet minimalist aesthetic was one out of many which can be seen to show a ballet influence. 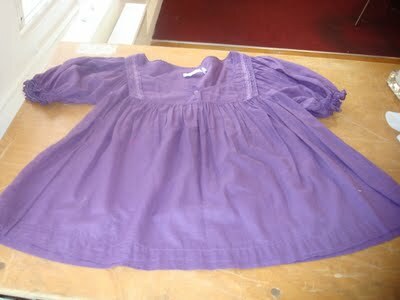 There were no prints, no complexities, no heels just an air of pure femininity. The colour palette didn't deviate far from what you'd expect of the modern Chloe girl: nudes and crisp whites.